Insulation allows the body to retain a bubble of warm air to protect you when you're skiing, hiking, climbing or commuting - where warmth is key. Insulated jackets are made from a range of different types of materials, but the most effective for you will depend on your environment and activity - whether you'll be exposed to rain or snow, whether you're likely to break into a sweat as well as your available space and weight. 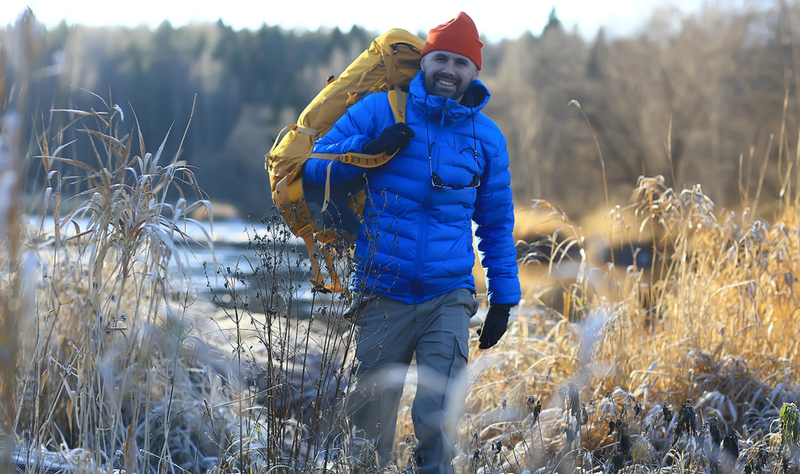 There are two main considerations when buying any insulated outerwear. First, they type of insulation and second, the features of the jacket. 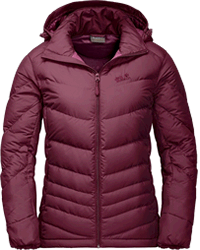 Use: Down jackets are appropriate for non-strenuous activity or casual wear in cold but dry conditions. 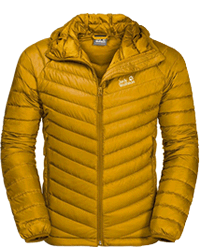 Treated down can be worn in moderate rain and snow and is suitable for light exertion. Down are fine, small feathers close to the skin of ducks and geese that are highly effective at trapping a bubble of warm air around your body. These feathers are ultralight and very compressible. The 'fill power' of down jackets typically ranges from 450 to 900 and is used to measure the 'loft' of the down: simply put, the higher the fill power the more insulating your jacket will be. Although more down will equal more 'fill power', it will usually be combined with normal feathers to help the jacket retain it's volume in ratios of down to normal feather such as 80/20 or 90/10. However down is not water-resistant, will not insulate when damp and takes a long time to dry. Although a Durable Water Repellant (DWR) outer can improve water-resistance, if you want to use down in wet conditions it is best to choose a down that has been specially treated with a hydrophobic coating to repel water or opt for a synthetic material. Top tip: Check that your jacket complies with the Responsible Down Standard (RDS) to certify that the down is sourced from non-force-fed and non-live geese or ducks. 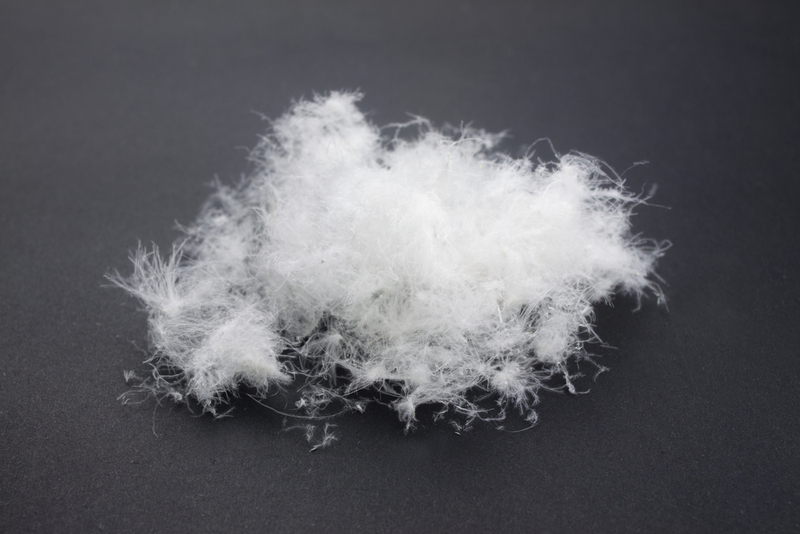 Use: Synthetic insulation is best used in cold wet conditions and are particularly appropriate for strenuous exertion. 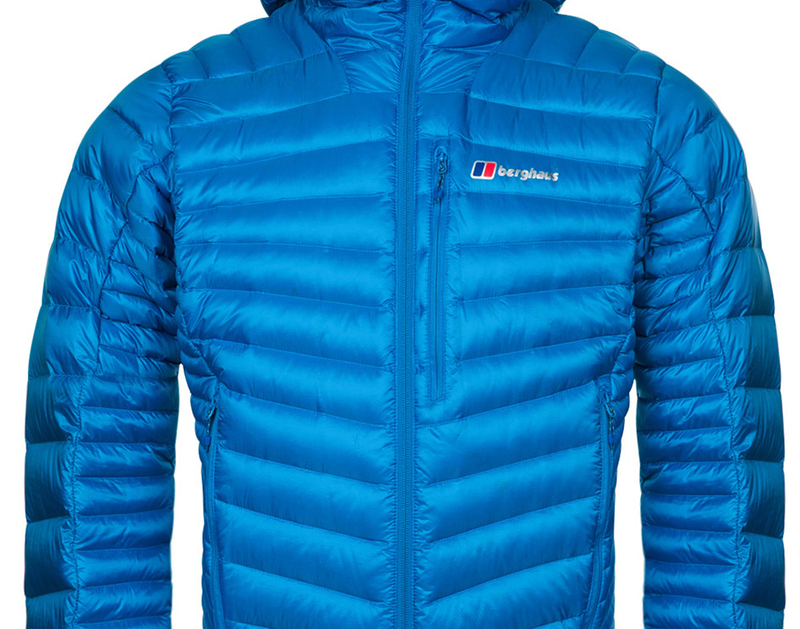 Innovation in synthetic insulation is rapidly reducing the performance gap with down, whilst being water-resistant, fast-drying, and more moderately priced. The ability of synthetics to repel water but also insulate when wet makes them the first choice for excursions in wet conditions. 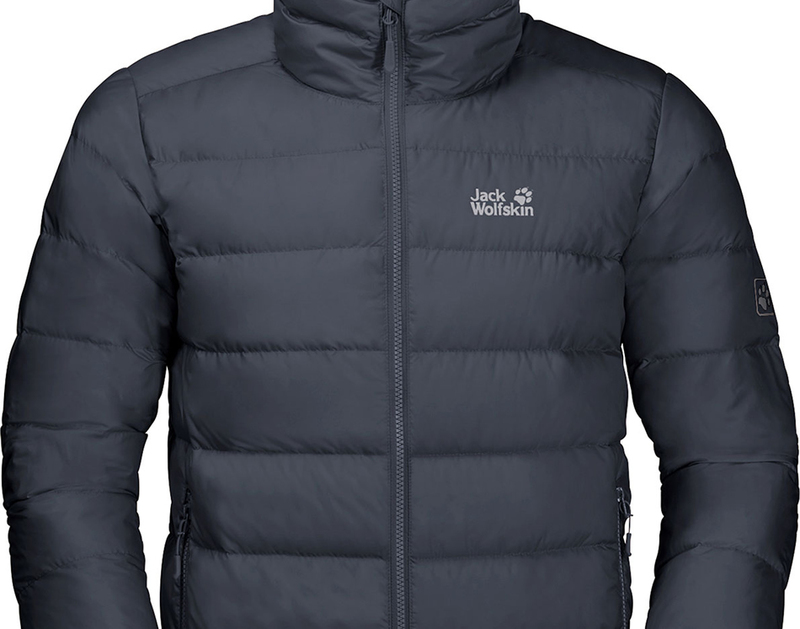 Superfine synthetic insulation enables slim-yet-warm jackets that are machine washable. However, synthetics still have a lower warmth to weight ratio and are less compressible than down. Use: For use in a mix of moderate weather and suitable for strenuous exertion. A combination of down and synthetic offers a mix of the performance benefits of both materials. Some designs blend the materials together and use them throughout the jacket. Others strategically place them where their respective characteristics are most beneficial - with down at your core where warmth is important and synthetics in the upper areas where you're exposed to rain or are likely to sweat. Baffles create compartments that spread down evenly across the jacket. These are not always necessary for synthetic jackets as the material can hang down in a single piece. Stitch through baffles keeps the insulation neatly sectioned however can lead to heat loss through the stitching. This is the most common type of stitching and is cheaper to make than alternatives. 'Box wall' baffles allow insulation to expand to its maximum volume and limits the heat lost through the stitching. This means that the baffles do not 'pinch' and so reduces cold spots throughout the jacket. However this construction is more expensive. Wide baffles are warmer as they contain more grams of down with less stitching. However they can feel bulky and may not compress down as well. Narrow baffles are better in wet environments and compress effectively, however allow for more heat to escape because there is more stitching. 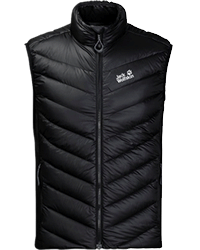 Comprise a waterproof outer shell with a removable mid layer, such as some of the insulation mentioned above or a fleece. The beauty of this design is the versatility it offers, allowing you to wear either layer alone. If you expect variations in the weather, 3-in-1 jackets can be an attractive, well-priced option. Although the outer shell of a jacket is often water resistant, some jackets also offer a waterproof and breathable exterior fabric and taped seams. This is important if you plan on using an untreated down jacket in environments with a slight risk of rain and snow, however will make your jacket more expensive. Some will opt for a hoodless jacket to save weight and space, and instead pack a winter hat. Those who are looking for convenience and extra warmth, however, may prefer the ease of an attached hood. In the end, this comes down to personal preference. 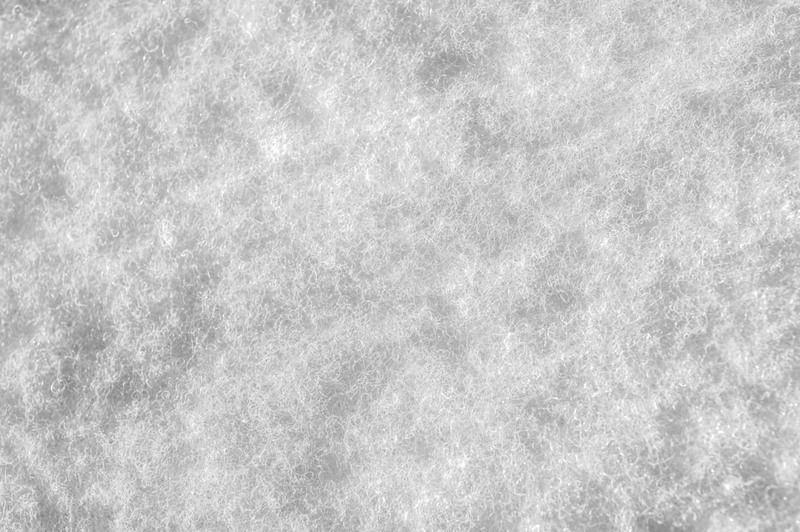 Jackets are increasingly offering variations in insulation and shell material depending on the position of material on the body. 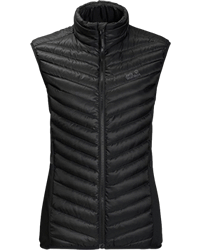 This allows, for example, the combination of concentrated insulation at your core with waterproof upper panels, windproof front panels and stretch panels in areas of increased movement. Hood adjusters are placed on the side and back of the head, allowing for a precise fit around the face and head to maximize protection from the elements. Other jackets may offer an elastic trim which offers less fidgeting, but a less precise fit. Drawcords are usually placed at the bottom of the jacket to minimize the flow of cold air from underneath. Again, an elastic trim is an alternative that increases the ease of use but offers a less precise fit. Snow skirts are an additional piece of material that closes off the waist of a ski or snow jacket to stop snow from reaching the internal body of your jacket. Cuffs are often adjustable, with easy-grab tags or hook and loops that can be handled easily with gloves to seal out cold air and damp. Again, some jackets instead opt for elastic trim to reduce fidgeting, but this offers a less precise fit. Pockets: Padded pockets will be welcome when your fingers are getting a little frosty, and if you don't need use of your hands may be more convenient than gloves. However these may add unwanted weight and bulk. The key considerations in your purchase is what climate you’ll be using the jacket in and how active you'll be. From there, we hope this guide will give you the knowledge you need to be confident in your investment so that you can be comfortable outdoors.